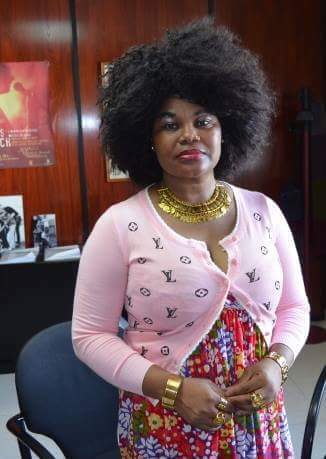 Nigerian born Spanish lawyer, criminologist, forensic expert and writer, Helen Mukoro Idisi, has emerged the presidential candidate of an opposition party for the forthcoming election in Spain. She has made history to become the first woman and an immigrant to emerge presidential flag bearer of a political party. She will be running on the platform of Union De Todos, a party she founded earlier this year. Helen was born in Delta State and worked briefly in the Governor’s Office before she travelled to Spain in 1992. She gained prominence in Spanish politics, when she founded a political party and later became the first Nigerian-Spanish to contest for the Mayor of Denia in May this year. Although she lost the election, her popularity soared higher as several people endorsed him for the highest office in the land. She is the daughter of Mr. Anthony Mukoro (the late Director General of the Defunct Bendel state Government Treasury’s Cash Office, and Mrs. Mary Mukoro. She studied Law at the Spanish National University, and holds a Master degree in Criminology. Masters degree in Social Education, a Post Graduate Certificate in Tax and Labor Management, a Post Graduate Certificate in Forensic Psychology, and a Post Graduate Certificate in Immigration and Domestic Violence. Worked as a legal Consultant (immigration department) at the Red Cross Society, Spain. Owner of a legal firm. President at the African Europe Chamber of Commerce. And founder of the party, ‘UNION DE TODOS’, Spain. She worked at the Ministry of Agriculture, Benin City, Nigeria. Deployed to Governor’s Office (Women Affairs Department) as Agricultural Officer, to help the rural women in Agriculture, and Asaba when Delta State was created. The 2015 Spanish general election would be held on or before Sunday, December 20, 2015.